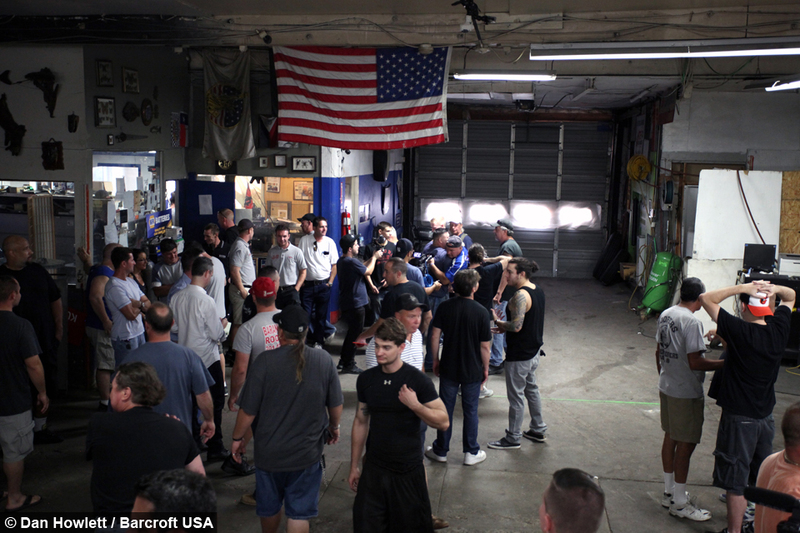 Prizefighters from across America meet in garages, alleyways and other rough venues to duke it out - but they are hopeful that the bloody bouts will soon have mainstream acceptance. Reputed former mobster Danny Provenzano, 51, is confident that the sport – which he says is for boxing purists – will soon be as big as the Ultimate Fighting Championship. Despite their humble surroundings it is believed prizefighters often make up to $100,000 for a single fight. Danny said: “I’ve promoted about 60 fights and I’m confident that we can start to get this into arenas. “Bare-knuckle boxing requires a lot more skill than gloved boxing, you’ve got to make sure every punch counts otherwise you’re going to break your hand. “Because the fighters are throwing less punches there’s less chance of serious injury – there are a lot more cuts and bruises but less long term brain damage. Four pugilists met last weekend at a secret location on the East Coast of America and were allegedly fighting for pride - without any money changing hands. A small crowd of around 50 people formed a circle in the middle of a mechanic’s garage and watched the two men go at each other bare fisted. 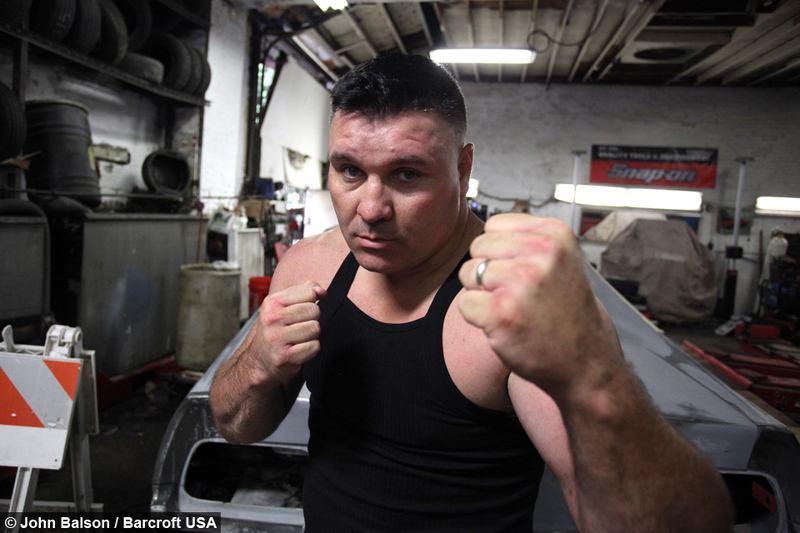 Bobby Gunn won the first ever sanctioned bare-knuckle boxing fight in 2011 and is now regarded as the best bare-knuckle boxer in the world. Speaking before his bout on Saturday, he said: “I do this for my family, I do this for all the backroom fighters who want to work in a legitimate sport where they can be paid and ranked properly. “But mostly I do it for pride, for my family name. I’ve been fighting since I was six-years-old – I’m a strong fighting man. But illegal fighting can attract some unsavory characters as Danny and Bobby have learned in the past. 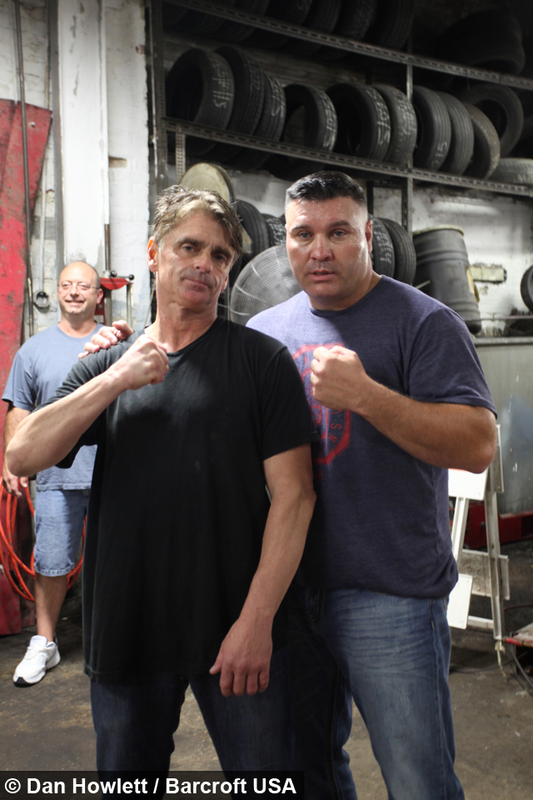 “We were in a warehouse in Brooklyn and Bobby was fighting a Russian man for $100,000 each,” added Danny. 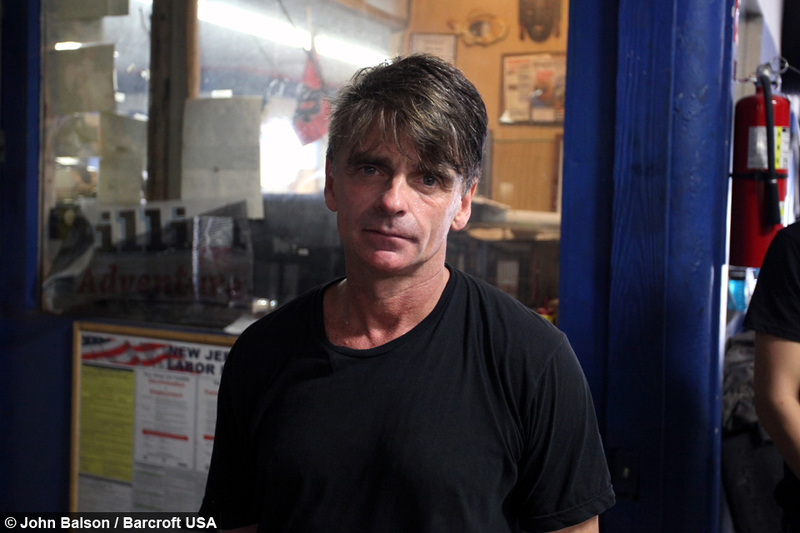 “Bobby won the fight but they wouldn’t pay and put a gun to our heads and made us get on our knees. “I spoke with the promoter and told him that he could keep the money but would have to be insane to think that I would leave it like that. “I threatened to kill him – I’m not sure if I would have done but I wasn’t going to let him take $200,000 from us. 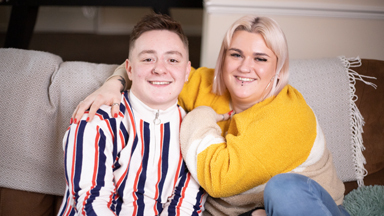 “Thankfully he paid us and we walked away - but those incidents are rare. “Back when we used to allow gambling at the events and charge a door price we could make about $100,000 a night and a top fighter could easily walk away with $100,000. Danny spent five years in prison but was facing 300 before he took a plea deal on charges ranging from racketeering to conspiracy to murder. 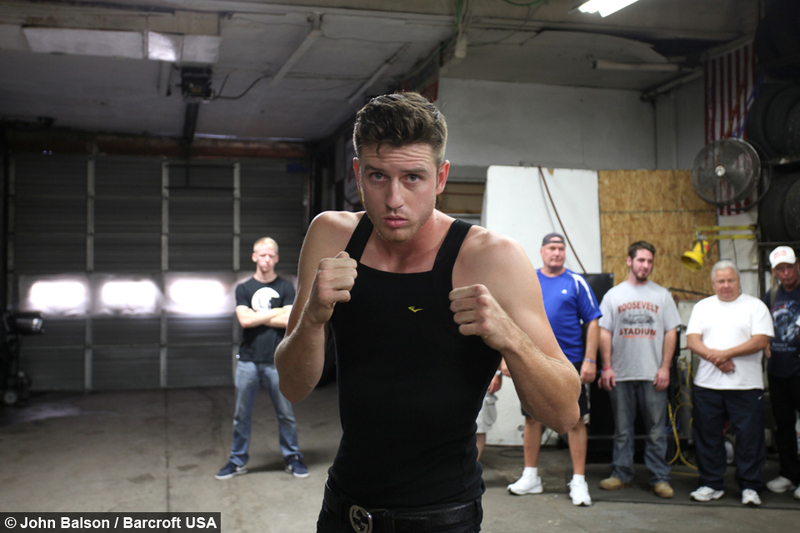 “When I got out of prison I knew that I had to do something and I wanted to get into boxing promoting,” added Danny. “Bobby and I got together and started to put fights on. 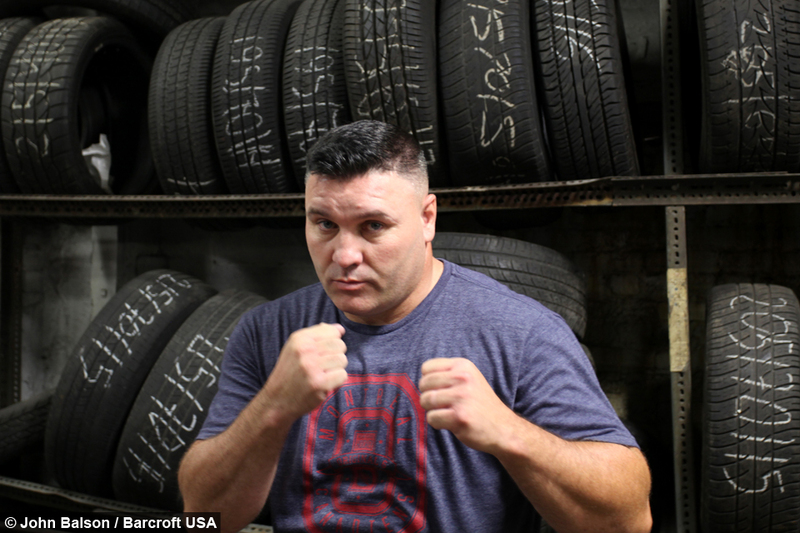 “He’s the poster boy of the bare knuckle boxing world – he’s the guy who is going to pave the way for this to become a legitimate sport. 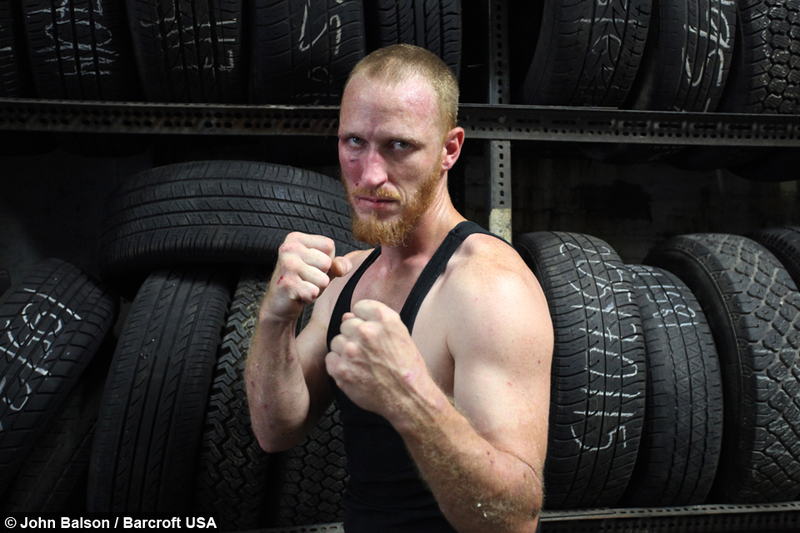 Bobby won his fight against former marine Dreyton Jackson in less than five minutes after numerous body punches knocked him down and forced him to quit. 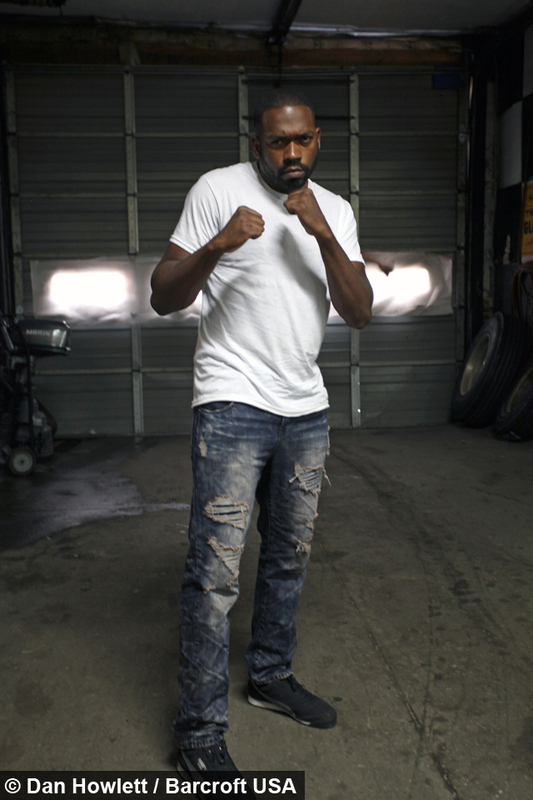 The fighter will now train and continue in his efforts to get in the ring with the UFC’s Kimbo Slice.